A friend from Chicago just sent me the March / April 2008 issue of Constructor Magazine. The cover story, "Kansas City Beefs Up Its Urban Profile" features two stories: Urban Renaissance as well as a piece about the Sprint Center. Both pieces are obviously written for a particular audience, but give an interesting and helpful perspective on the growth and development within our city. The city known best for its blues and barbecue is now also benefiting from billions of dollars of new business. The current issue of Urban Times also features a piece on Kansas City's present development strategy for the neighborhoods of the greater downtown area (as well as an unrelated piece on great dining opportunities on Southwest Boulevard). 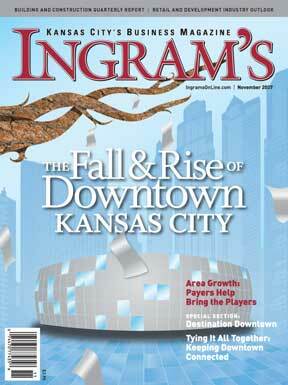 The November 2007 Issue of Ingram's Magazine is devoted to the revival of Kansas City's downtown. Articles include Moving the Boundaries (discussion of how the downtown area is defined), Tying it All Together (public transportation in the urban core), and several others devoted to retail and economic development. 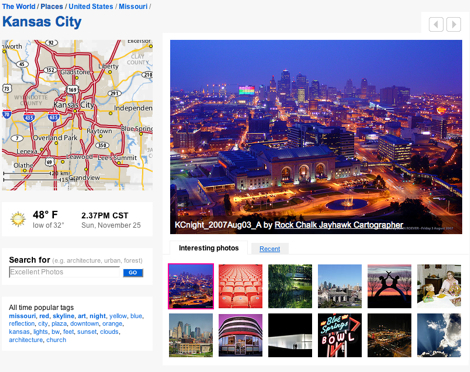 Kansas City @ Flickr "Places"
My fascination with flickr and the degree to which I use it often makes me forget that many people are unaware that flickr even exists — not to mention the resources it offers to people beyond photography. For example, anytime people call me for advice because they're going to Vancouver on a trip, I immediately direct them to the Vancouver flickr group. The near 3,000 group members not only discuss the best place to shop for photo gear (which we all know is beau photo), but they also discuss ad infinitum best bars, best pizza, best sushi, etc. Enter flickr's new Places feature. It could be just another time waster, or it could be a strategic launching pad for all sorts of city and cultural research for reasons ranging from travel to church planting. You should also check out Reach Kansas City for updates on our work to plant a new church in the urban core of Kansas City. We have had an amazing and amazingly packed fall. I have made over half a dozen trips to Kansas City and have been thrilled at all the connections God is creating for us there. To be honest, time previously spent blogging has been filled with new faces, coffee, BBQ, photography and hanging out with Katie in preparation for our little boy's arrival, Lord willing, sometime within the next month! 1) The Arkansas Democrat Gazette recently wrote a profile on Fellowship Associates (the church planting leadership residency that I'm currently participating in). You can download the article here. 2) Our Fall Newsletter is Available!! I made a small oversight in the way I sent them out via regular mail, so if yours arrived looking more like confetti than a newsletter, feel free to download a fresh one. If you did not receive a newsletter (either via email or regular mail), and would like to receive them in the future, please feel free to contact me. NOTE: since we're more excited about building relationships than sending out newsletters, please let me know a bit about yourself and why you are interested in our vision to cultivate communities of disciples for the glory of God and the good of the city. 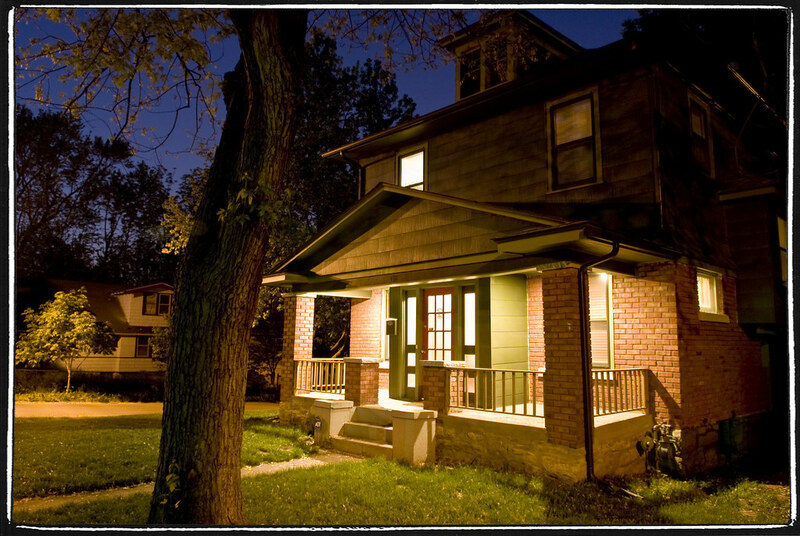 NPR's Day to Day profiles life in Kansas City: Kansas City: The View from the Middle. Though the piece carries a subtle tone of condescension, it offers a nice profile of a great city that we are growing to love with increasing intensity. The term "middle" conjures up a host of pejoratives: middling, middle-brow and middle-of-the road. But settle down in what folks on both coasts deride as "flyover country," and you discover something different: a political environment that celebrates consensus as much as conflict, a space where culture and business are comfortably intertwined, and a place where history and modernity don't just live, but thrive. Kansas City is the embodiment of the middle. It's near the geographic center of the continental United States. It's the dividing line between a traditionally "blue" state (Missouri) and a traditionally "red" one (Kansas). And it's a sprawling — but human-scale — metropolis, with a reviving downtown and so many construction cranes that locals joke "the crane is the new state bird." The first thing you notice as an outsider is the architecture. The way glassy modernist sculptures like the still-under-construction Sprint Center arena nestles amidst stately, century-old apartment buildings. Or how the city's colonnaded grande dame, the Nelson-Atkins Museum of Art, has sprouted a funky new wing that glows softly at night. KANSAS CITY, Mo. — Reed Cordish has watched one city center after another make a comeback over the past two decades. Indeed, his family's firm, the Cordish Co., is credited with reviving several of them, including downtown Baltimore, where it developed the now-vibrant Inner Harbor. But he has never seen a city blossom quite like this one. "What's remarkable is it's all happening so quickly," says Cordish, looking across a sea of construction cranes from his company's 30th-floor offices. "What you see happening this year in Kansas City is what you'd see happening in other cities over 20 years." Early next year, the Cordish Co. will cut the ribbon on the Power & Light District, a massive redevelopment of a nine-square-block chunk of Kansas City's long-dilapidated downtown. Like Baltimore's Inner Harbor, it will feature restaurants, bars, shops and live entertainment. 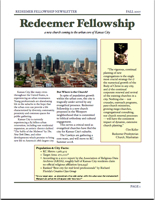 For more information about our strategy to reach those living in Kansas City's rapidly changing urban core through church planting, contact me: kevin [at] reachkansascity.org. Or, check out our website, Reach Kansas City. KANSAS CITY, Mo. — Let’s face it: This isn’t on everyone’s list of places to see before you die. It wasn’t on ours, either. But serendipity — in the form of an airline credit that had to be used in the Midwest — bumped it to the top of the itinerary. So there we were in the city of Count Basie and barbecue — that’s all that came to mind when conjuring up an image of our destination. And if good jazz and a sweet rack of baby back had been all that Kansas City had to offer, that would have been fine. For those interested in the progress of the pre-launch phases of our church plant in KC, check the UPDATES section @ Reach Kansas City dot org.